Ultra cool Fun: Watch of sun ! 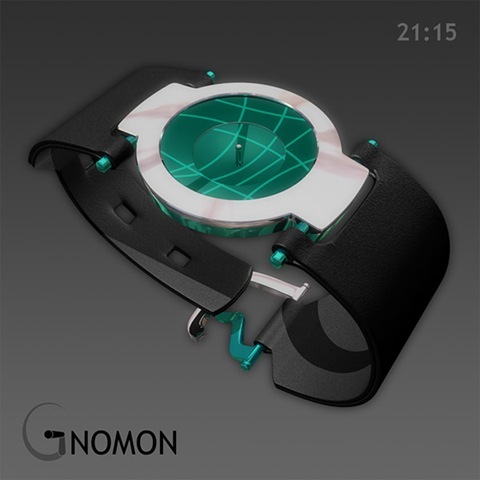 Sun Dial watch Gnomon is created by one Anders from Sweden. 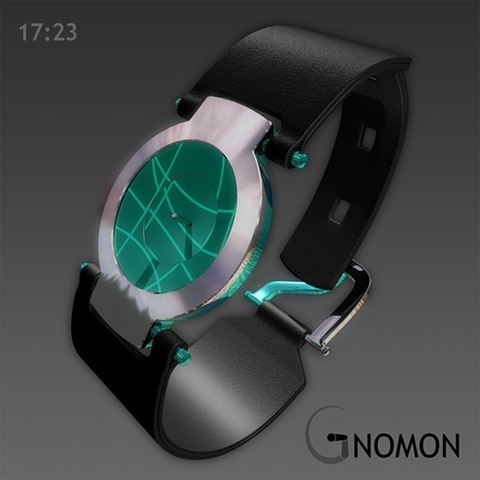 With a stainless steel outer dial and the stylish leather belt Gnomon is a magic watch that can attract a large number of people. 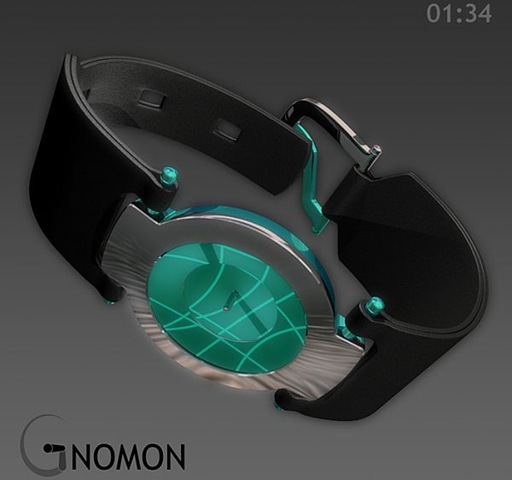 Notably, the turquoise blue light in the dial gives a cool look. Also the leather belt on either sides are attached with studs in turquoise blue color that perfectly matches with the inside color. Though the design is still kept on Tokyo Flash Design Blog, the top brands may soon buy the design. 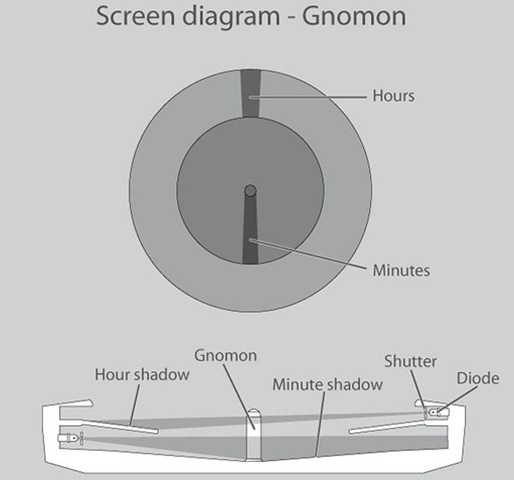 Had something like that happens, trust me, the watch is going to create wonders, creep in all countries and stick to people of all age groups. Hail the ideas and the technology.